NASA’s Cassini Spacecraft is set to fly directly through a plume of icy spray coming from Saturn’s moon Enceladus, revealing new details about the moon. In preparation for this event, NASA will hold a teleconference to discuss plans and anticipated results. 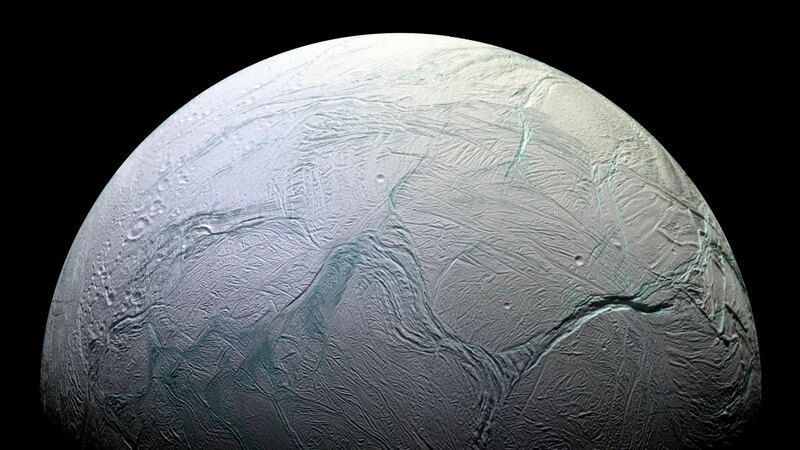 NASA’s Cassini Spacecraft will sample an extraterrestrial ocean on Wednesday, October 28, when it flies directly through a plume of icy spray coming from Saturn’s moon Enceladus. The agency will hold a news teleconference at 2 p.m. EDT on Monday, October 26, to discuss plans for and anticipated science results from the historic flyby. To participate in the briefing, media must contact Laurie Cantillo at 202-358-1077 or [email protected] no later than noon on October 26. Questions also can be submitted during the briefing via social media using the hashtag #askNASA. Audio of the event will stream live on the NASA website, where visitors also can find accompanying visuals. Event audio also will stream live online, with visuals, on Ustream. The spacecraft will make its closest approach to Enceladus at 11:22 a.m. Wednesday at an altitude of 30 miles (49 kilometers) above the moon’s south polar region. The encounter will be Cassini’s deepest-ever dive through the Enceladus plume, and is expected to provide valuable data about activity in the global ocean stirring beneath the moon’s frozen surface. 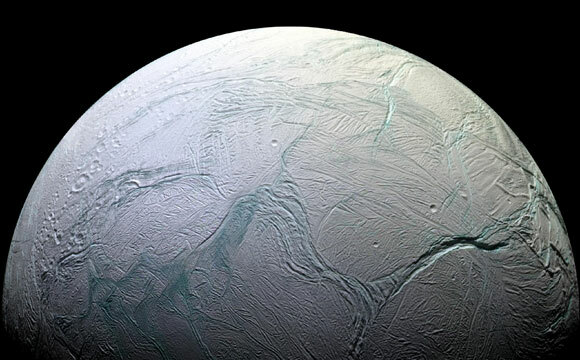 Cassini scientists are hopeful the flyby will provide insights into how much hydrothermal activity is occurring within Enceladus, and how this hot-water chemistry might impact the ocean’s potential habitability for simple forms of life. If the spacecraft’s ion and neutral mass spectrometer instrument (INMS) detects molecular hydrogen as it travels through the plume, scientists may get the measurements they need to answers these questions. Using Cassini’s cosmic dust analyzer (CDA) instrument, scientists expect the flyby will lead to a better understanding of the chemistry of the plume. The low altitude of the encounter is, in part, intended to increase the spacecraft’s access to heavier, more massive molecules — including organics — than the spacecraft has observed during previous, higher altitude passes through the plume. The CDA instrument, which is capable of detecting up to 10,000 particles per second from the plume, also is expected to reveal how much material the plume is spraying from the moon’s ocean into the space around Saturn. Scientists also hope the flyby will help solve the mystery of whether the plume is comprised of column-like, individual jets, or sinuous, icy curtain eruptions — or a combination of both. Given the important astrobiology implications of these observations, the scientists caution that it will be several months before they are ready to present their detailed findings. Cassini will acquire images of Enceladus both before and after the encounter. For the time of closest approach, the cameras’ fields of view will drag across the surface. These observations are expected to capture some of the highest-resolution views ever of the icy south polar terrain, lit by reflected light from Saturn. Post-flyby processing will be used to remove blurring caused by the spacecraft’s movement during exposure. The last of Cassini’s three final close flybys of this icy moon, targeted at an altitude of 3,106 miles (4,999 kilometers) on December 19, will examine how much heat is coming from the moon’s interior. The closest-ever Enceladus flyby took place in October 2008 at an altitude of 16 miles (25 kilometers). Cassini flew closer to the moon’s icy surface during that encounter, but passed through the plume at a much higher altitude than it will during the Oct. 28 flyby. 1 Comment on "NASA Prepares for Historic Flyby of Icy Saturn Moon Enceladus"
We are now entering our second day of school, fascinating. NASA’s provided more knowledge in the past year or two and into the next year to totally revise out education of the Cosmos.